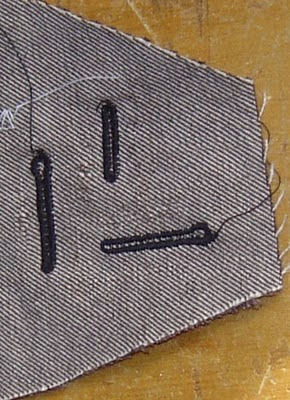 Everything Just Sew: It's alive!!!! I'm intrigued by your dress. Are you using fabric paints. I'd love a buttonwhole machine. 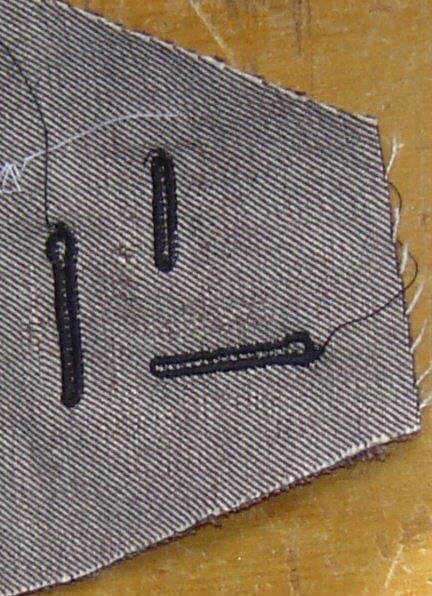 Mine sewing machine does them, but not well and will not take large buttons. 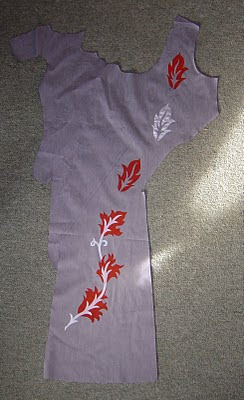 wow that stencil is coming up a treat - I love how the bottom leaves are connected with that twirl. Thank god the buttonholer worked! Yay for a working buttonholer!! I bet if you started the keyhole buttonhole at the bottom you wouldn't get that wonky bit. Your dress is going to be amazing. I can't wait to see the finished product! Hurrah for the buttonholer! The keyholes are especially neat, but both versions look professional.